Scouts love prospect-on-prospect match-ups at the amateur level. After all, most of the players a top-level amateur prospect faces simply aren’t as his level. When Gerrit Cole opened his UCLA season with a dominating outing against relatively weak Southern University, did we really learn that much about his ability to get professional hitters out? The unbalanced nature of college baseball is a big reason why so many draft prospects are able to post video-game numbers. Against other prospects, they’re still finding their sea legs, but against everybody else, watch out! In a perfect world of draft analysis, we’d have more opportunities to watch top prospects square off against each other. (Perhaps in a summer league? Maybe Cape Cod would be nice.) In the meantime, we’re stuck slicing and dicing a limited number of performances. One back-of-the-envelope approach is to take a hitting prospect’s stats on Friday nights, as most schools start their best pitchers in the opening game of the weekend series. Not every Friday night starter is a prospect, and not every prospect starts on Fridays, but it’s better than nothing. To take one example, Kent Bonham and I recently looked at FSU outfielder Tyler Holt’s performances on Fridays. Holt is currently posting a season OPS in the neighborhood of 1.100, but so far, Fridays are his worst day of the week, with an OPS barely over .600. We’re only six weeks into the season, so it’s too early to start knocking Holt down your draft board. Plus, his Friday results were better than his overall numbers last season. Nobody claimed this was a perfect stat. Ultimately, what we want to know for any given college player is: How will he perform against professional competition? As with any baseball hypothetical, we can’t expect to ever answer with certainty. But perhaps we can do better than separating out performances by day of the week. Since college players rarely face off against pros directly, let’s try to answer the question by focusing on a related question: How does a player perform against his peers who are going to be professionals? Strictly speaking, that’s an impossible question to answer, as well. But we’re getting closer. For the most part, college players who are headed to the pros are those are drafted by major league teams. We don’t know who is going to be drafted this June, but we do know who was chosen last June, and the June before that. While rookie leagues are filled with x-factors like high schoolers and international signees, college draftees face a fair number of the same guys in the minors that they faced in college. Thus, at least in theory, the performances players post against their fellow future professionals should have some predictive value. If we know which players were deemed pro-ready by major league front offices, we can look back and see how that bunch compares to the average NCAA Division I player. Over the last two years, the average D1 batter hit about .295/.370/.435, for an OPS of .805. Against players chosen in the draft from 2007 to 2009, they managed only .269/.337/.391, while they hit .302/.375/.450 against everybody else. In fact, the difference is even more striking than that. Because draft picks are concentrated in a few competitive conferences, the plate appearances against drafted pitchers are disproportionately those of better hitters. For instance, in 2008 Butler University’s players amassed only 152 at-bats against drafted pitchers, while Fullerton’s Josh Fellhauer (now a Reds farmhand) got 126 such at-bats all by himself. In the final analysis, these weights don’t end up mattering much. We aren’t going to analyze the nine-at-bat performances of Butler’s hitters against draftees. For the most part, that .269/.337/.391 line generally reflects how good college hitters do against pro-ready pitching. I belabor the point because when we look at player-specific results, it’s important not only to have this baseline, but to know what it means. When we see that Tony Sanchez, author of an OPS better than 1.000 for Boston College last season, managed only a .246/.290/.404 line in 60 PAs against drafted pitchers, we can see intuitively that that’s not very good. Knowing that it should be compared to that .269/.337/.391 average doesn’t make it look a lot better, but it gives us a key reference point. This isn’t to say that Sanchez was a good or bad draft choice, though it does suggest he’ll have a harder time against pro pitching than, say, Grant Green, who posted a .354/.434/.600 mark against draftees, a slightly better OPS than he did against non-draftees. Sure enough, Green did much better in high-A ball last summer than Sanchez did. One disadvantage of the “versus draftee” split is that we can’t use it for current-year results. We could approximate it, using a combination of players drafted last year who didn’t sign, players drafted out of high school who went to college, and a prospect list such as the PG Crosschecker top 500, but we still wouldn’t have the sample sizes available to us from the draft itself. Fortunately, college prospects play for more than one year. Just about everyone at the top of the 2010 draft boards played a full season in 2009, and many were regulars as freshmen or sophomores in 2008. For the most part, these guys have proven their prospect mettle in the match-ups that count. But there are exceptions. As a freshman last year, Cox managed a mere .609 OPS compared to his overall mark of .930. Cunningham doesn’t see very many other top-shelf talents at Jacksonville State, and he’s had a hard time in those limited chances. Lots of familiar names on that list. Just about everyone is either already in a major league club’s pipeline or will be in June. For good reason, too: If they can post these numbers against drafted players, they shouldn’t have a problem with pro pitching, at least at the lower levels of the minors. Dustin Ackley       77  0.420  0.481  0.768      127  0.396  0.485  0.613  Whoa! In case you haven’t heard, Dustin Ackley had a pretty good college career. This is just another confirmation that there’s a lot to love. 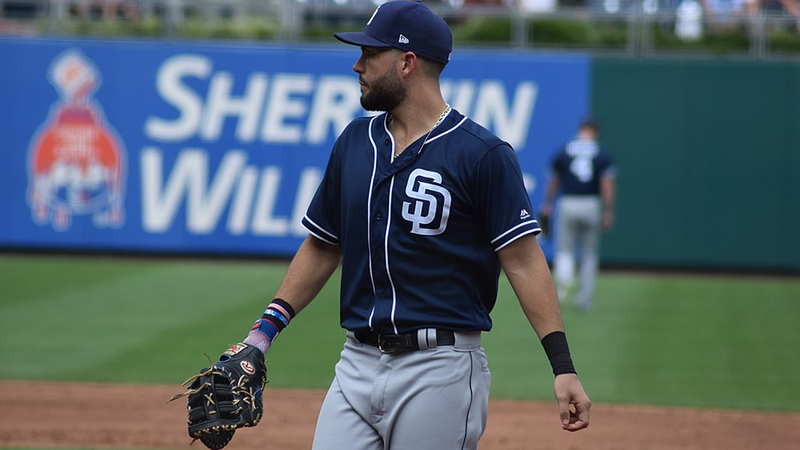 As we’ll see in a moment, there are some players who put together gaudy numbers by feasting on their lesser competition, but Ackley did no such thing. In embarking on this project, what interested me most was finding the players who didn’t do what was expected of them against top-shelf pitching. Many of the players we’ve seen so far fall into that category. We might expect Ackley to hit well against draftees, but a 1.249 OPS? Was he slacking off when he faced lower-quality opponents? The flip side of this endeavor, then, is to unearth the guys who posted superficially good college numbers, but essentially padded them by beating up on lesser pitching. You might think of these guys as the college equivalent of the Triple-A player who can’t catch up to a major league fastball, or always get fooled by a major league curve. Yep, that’s Anthony Rendon, golden boy of the 2011 draft, and you’re looking at the first chink in his armor. Granted, it’s a minor, small-sample chink, and it comes from his freshman year. But hey, nobody’s perfect. It’s also worth noticing that nearly everyone on this list comes from a competitive conference. The ACC, SEC and Big 12 are as tough as it gets in college baseball, and that’s because they are so prospect-packed. The draftees that Miami faced last year are surely of a higher caliber than those encountered by Washington State. Like many splits, the notion of the “versus draftee” split has its limitations. As you’ve seen, the sample sizes aren’t very big, and we can’t consult the numbers until after making decisions on this year’s prospects. That doesn’t mean it’s without value. Like a big platoon split, jarring in-conference numbers, or maybe even poor performance with runners in scoring position, the “versus draftee” split can serve as a warning signal in a sea of data. In the case of Rendon or Sanchez, teams may be able to ignore the signal, writing it off to flukishness and seizing on each player’s numerous good qualities. In cases like Ackley and Green, slicing the data this way gives us additional confirmation that the player has what it takes to succeed at the next level. I’ll leave you with this. In 2007, a young man named Matt Wieters posted a .358/.480/.592 line for Georgia Tech. Scouts hardly needed another reason to love him, but they surely wouldn’t have been surprised to discover that in 97 PAs against future draftees, he hit a nearly identical .361/.496/.567. I’m no Orioles fan, but things seem to have worked out pretty well for him so far. One reason you can write it off for Sanchez is his positional value as a catcher. So that helps him out. Really interesting, stuff, though Jeff (and Kent). Very cool stuff. It would be interesting to see how performance against college players correlates year-to-year. Just looking through the data you provided it seemed like it fluctuated a lot on a year-by-year basis. If OPS (or any stat) against drafted players had a higher year-to-year correlation that overall performance it would seem to be a very useful statistic. You’ve shown a clear gap between how college hitters perform generally and how they perform against draftable pitching. I wonder whether there are also gaps between how college hitters perform against top draftable pitchers and pitchers taken later in the draft. If there is, that would be important, at least when evaluating individual hitters, since some may have faced a higher proportion of top draftable pitchers. I’m not sure if the differences would be meaningful, but they may be. Thanks for the helpful analysis and the great web sites. Have you looked at the split on pitchers vs drafted hitters? The data for Strasburg would be non-existant, because he didn’t face any real hitters.